Services in Macedonia still have much more affordable prices compared with western standards. So, visiting a hairdresser, tailor, music video maker, or a language or computer teacher, can be a smart thing to do while you are here. We will give you some tips, and you can either ask us for particular ones, or visit to our forum and share the experience with others. Let us start with hair dressers. Services for man can range from 80 Denars, in smaller towns or in some suburbs from Skopje, to 600 Denars, in better Skopje shops. In average shops, the price for man is 150 MKD. Females can get their hair dressed for 150 MKD, in some stores in Skopje, and the most expensive service we know is 100 Euro, for a special wedding hair dress, also in Skopje. 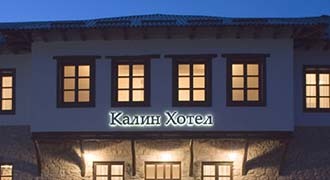 A tailor is also a recommendable experience in Macedonia. You can get a dress, or a costume, Anzug, , sute, how ever you call it, ready within 7-10 days, for max of 200 Euro, by the tailors working for the President, or other local dignitaries. Dry cleaning is also affordable (50 MKD per shirt, in Skopje, for example), as well as are the ready meals, or bike service deliveries (100 MKD in Skopje, for example). But, it is also not a bad idea to engage an assistant for those kind of services – a lady doing your laundry, clining your apartment, making your (Macedonian) meal, even taking care of your children, will cost you between 150 and 300 Euro per mont (depending on her skills, English knowledge, and the place she lives, related to your living place.). You can order a pica, wine to be delivered, or a catering company to provide all you need for your event. You can repair your old shoes, leather jacket, or a car, without to pay much for the services. Everything is, in principle, much cheaper, than in your country. The only problem is – it might take longer that you would expect to have the job done. So, count with that, and make the pressure on the beginning of the deal – say clearly when you want the job done. Than you will face slightly less problems, than you might expect without discussing this issue at the beginning of the deal. Language, or computer lessons can cost up to 200 Euro per semester, depending on what you learn, and how you do it. Personal language lessons can cost you between 5 and 10 Euro per lesson, depending on the language and on the deal.Music videos, from the beginning of our text, are also very affordable, but less us not reveal all the details here. If you need info, or an opinion, please do not hesitate to contact us, or to ask others on our Forum!